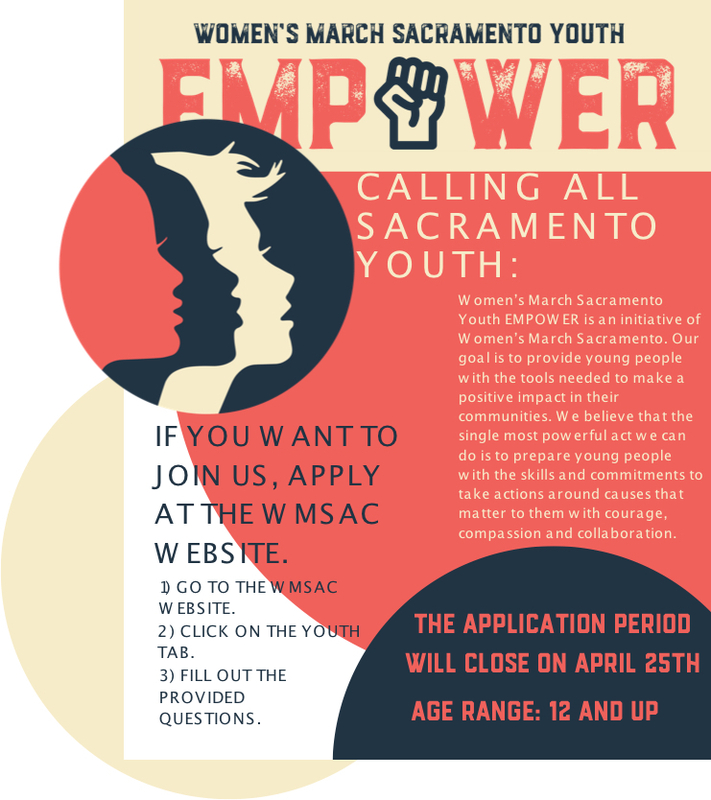 Women’s March Sacramento Youth EMPOWER is an initiative of Women’s March Sacramento. Youth EMPOWER upholds the principles of Women’s March Sacramento's Four Pillars. Our goal is to provide young people with the tools needed to make a positive impact in their communities. "We are a group of young people who will put our heads together to formulate, and then put into motion, a project concerning our community that is important to us. Youth-led and youth-orchestrated, this group is an opportunity for the next generation to have a voice. We believe that the single most powerful act we can do is to prepare ourselves with the skills and commitments to take actions around causes that matter to us with courage, compassion and collaboration." Why do you want to be a part of Women’s March Youth EMPOWER? Are there any specific issues that you want to work on?